Lyle Chupp offered that assessment following a 3,500-lot auction held January 15 to 17 at Shipshewana, Indiana, by his family-run business, Chupp Auctions & Real Estate. 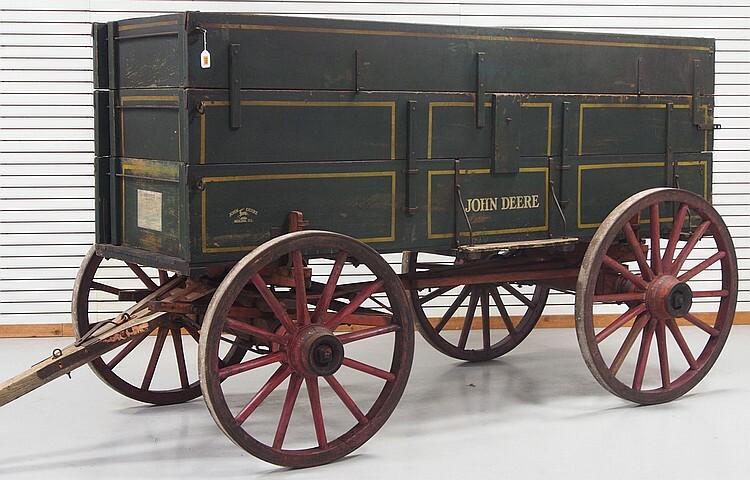 The top item of the sale was a triple box wagon made by John Deere Wagon Works of Moline, Illinois. In original paint and stenciling, with its original decal noting the company’s guarantee regarding the wagon’s construction, it was bid to $11,000. Box wagons were a standard piece of farm equipment from the late 19th century into the first half of the 20th century. Think of a shoebox without the lid. Add axles and wheels, and you have a box wagon. The wooden sides were relatively low, but a second tier of side boards could be added to increase the height, making it a double box wagon. Even less common was the triple box wagon, which had a third set of boards. Rarity and condition helped lift the price on the John Deere wagon, but it wasn’t just farm equipment that sold well. Anything in the John Deere line had a following, especially advertising. Among the better pieces was a wooden sign for John Deere Plows, yellow with black stenciling, 12 inches high by 8 feet wide, that sold for $5,200. John Deere Plows sign, 8 feet long. One of the surprises of the sale, however, was the strong interest in farm literature. Again, John Deere memorabilia stood out, with a John Deere Grain Elevators booklet bringing $500 and a John Deere Combines booklet hitting $400. 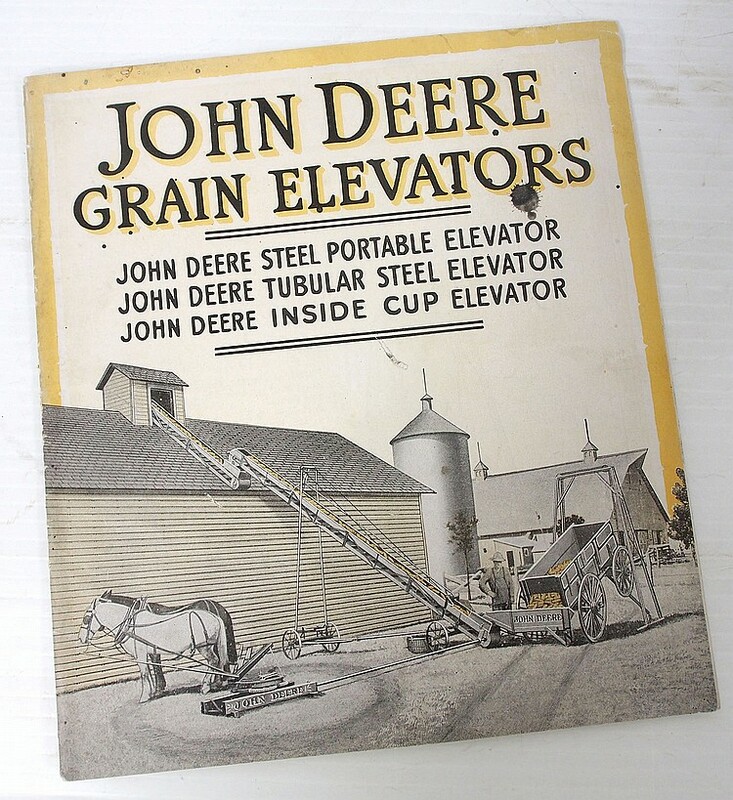 John Deere Grain Elevators booklet.